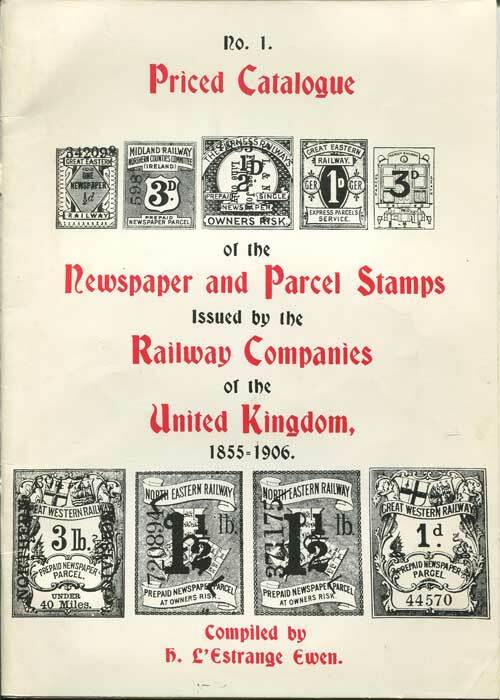 EWEN H. L'ESTRANGE - Priced Catalogue of the Newspaper and Parcel Stamps issued by the Railway Companies of the United Kingdom 1855-1906. 44 large pp. Facsimile reprint of 1906 edition, clean in card covers.